****Price Reduction***** If almost eliminating your power bill intrigues you, this house is a must see. The Solar Power Panels are less than two years old and came with a 25 year transferable warranty. The savings do not stop there because the wind mitigation credits that you will receive as a result of the less than two year old, double pane, solar film windows, and Hurricane shutters will give you huge discounts on your homeowners insurance. This is also where form meets function with an updated OPEN floor plan, updated stainless steel appliances, and tile floors in the main living spaces. This home also features a bonus room that would make for a perfect home office, library, or quite space. The newer privacy fence in the back yard along with the rear deck are awaiting your grill and deck furniture. 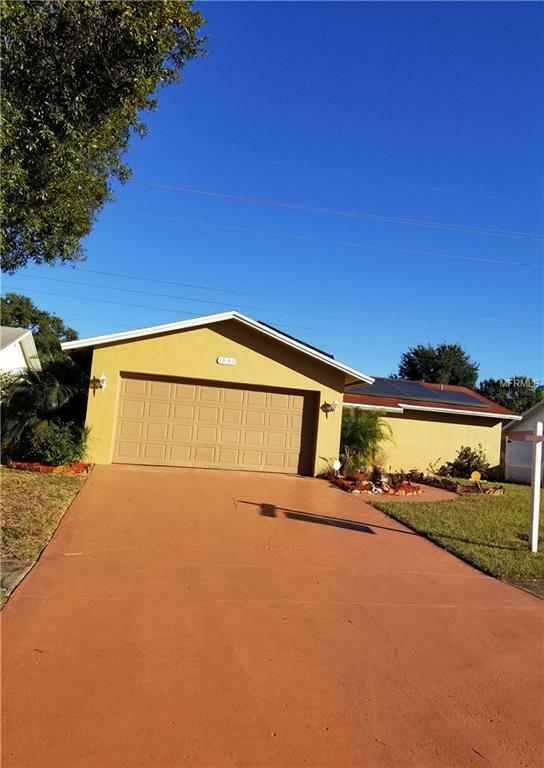 With so much to offer this home is also located just minutes from Countryside Mall, Grocery Stores, and all major thoroughfares to maneuver around the county and not to mention Tampa International, and Clearwater International Airports. If that is not enough being just ten minutes from the World Famous Clearwater Beach should help with relaxing in the Florida Sun or Watching The Sunset on Pier 60.